In September, 2016, we reported that we were able to successfully complete the Helping Hand Initiative in two communities in the Spring and Summer of 2016 according to our original plan, serving a total of 13 homeowners in the Lansdowne community of East St. Louis, Illinois, and Fremont, Nebraska. 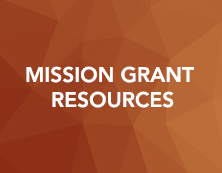 The Mission Grant from the Lutheran Women’s Missionary League (LWML) helped the LCMS National Housing Support Corporation (Lutheran Housing Support) extend this Helping Hand Initiative from a local pilot program to a National Key Initiative of our organization. Since last fall Lutheran Housing Support (LHS) has not only completed the 2016 iteration of this initiative, we have worked to extend the Helping Hand Initiative into 2017. 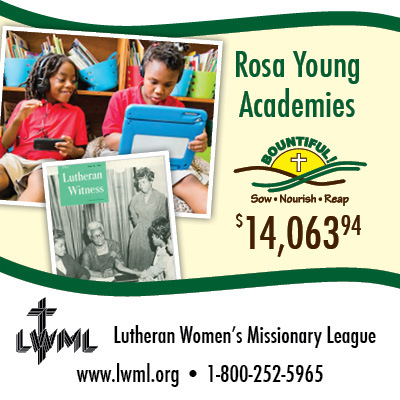 We can say confidently that the 2015–2017 LWML Mission Grant not only impacted the ministries of Unity and Trinity Lutheran congregations in East St. Louis (Illinois) and Fremont (Nebraska) and the lives of those homeowners receiving services. The grant also helped LHS establish the Helping Hand Initiative as LHS’ National Key Initiative. Even now we are working on plans for the 2018 Helping Hand Initiative and ways that we can be even more successful at sustaining this initiative into the future. Read or print the FULL report. 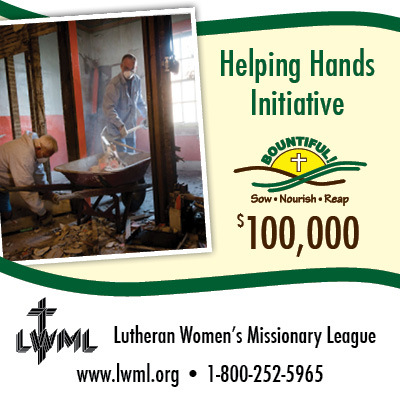 The LWML provided a grant to LCMS Black Ministry in the Office of National Mission for $25,000. The grant was to help lay the groundwork for the Rosa J. Young Academies project. Rosa J. Young was born in 1890 to ordinary black/African American parents. However, she did not let her race define her. She let her Christian faith define who she was, and so her Lutheran faith is the center of her legacy. Rosa decided to open her own school for black children in the rural south in 1912. Over the next several years she was instrumental in the development of 30 Lutheran elementary schools and 35 Lutheran congregations in Alabama. To Rosa, education was important, but a Christian education was better. The grant was used to prepare the Rosa J. Young Academies process for the completion of the following stages of opening the first school in August 2018. As of March 2017, the Rosa J. Young Academies Foundation, Inc., has created the Articles of Incorporation and By/Laws for the creation of regional operations of local Rosa J. Young schools. The RJYAF, Inc., is still in the process of working on regional vetting and due diligence processes for future school applications. 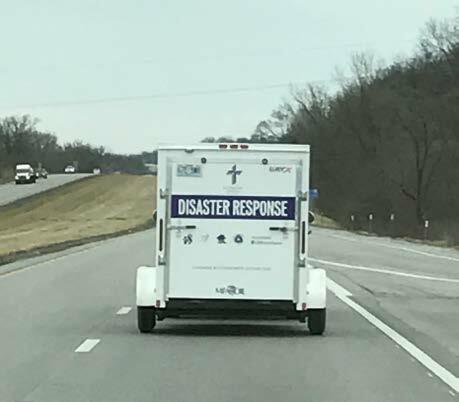 St. Paul’s Lutheran Church in Concordia, MO used their Disaster Response Trailer in March to help the community of Smithville located 75 miles away. Kent Kunkel, a trained LERT volunteer, described the impact of the trailer for their team. 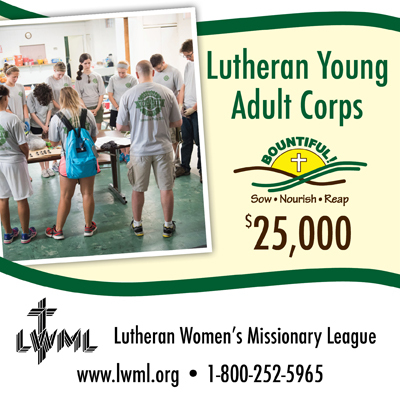 Lutheran Young Adult Corps (formally Lutheran Youth Corps) will launch its first program year in June, 2017. The 10 week summer term program will begin June 1, 2017 through August 14, 2017. The ten month gap year program starts August 1, 2017 and runs through May 31, 2018. Participants will serve in three cities: Boston, New Orleans, and St. Louis. They will be serving with churches, campus ministries, and Recognized Service Organizations in each of these cities. We will be able to place nine participants in the 2017 10 week Summer Term and 16 participants in the 10 month Gap Year Program. 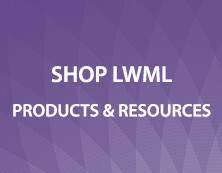 LWML’s grant will allow us to pay a portion of the stipend for each participant in both of those programs. This allows us to keep the cost low or free to participants and low to the community partners where they are placed. Read or print the full report with pictures from pilot programs. 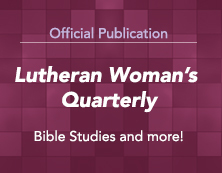 A thank you for mites from The Lutheran Church—Missouri Synod, for the funding of LWML Mission Grants at the national, district, zone, and society level from 2012–2017. Instructions to download: Click the above link and the download page will open in a new window. From there, click the “Download” button, then click “Direct download” in the pull-down menu that appears. The Lutheran Church—Missouri Synod began work in Nigeria in 1936 among the rural Ibesikpo clan with 16 initial congregations and grew into the Lutheran Church of Nigeria, which became an LCMS partner church in 1963. The Lutheran Church in Nigeria (LCN) is the oldest partner church in Africa, and currently comprised of approximately 80,000 members in 339 congregations. 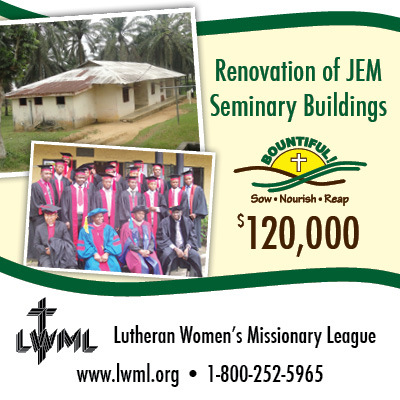 The LCN operates the Jonathan Ekong Memorial Lutheran Seminary (named after the late Rev. Dr. Jonathan Udo Ekong, the pioneering father) in Obot Idim and continues to be an important partner for Gospel proclamation, preparing young men for the ministry in the LCN in the most populous country in Africa. In recent years, the student population experienced record highs with 79 students in 2014 and 87 in 2015 compared to 54 students in 2009. 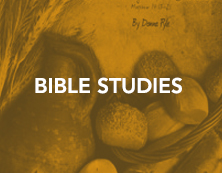 The Theological Education by Extension program is also seeing incremental increases. In addition to making the buildings safe and serviceable, the seminary is preparing to apply for accreditation from the Nigeria Universities Commission (NUC). Students at the seminary complete five years of academic work and three years of internship before graduation. The seminary seeks to provide recognized credentials for their students as well as for the development of the seminary and church. Students will also officially graduate from University of Uyo in a diploma program. In order for the Nigeria Seminary to achieve accreditation and students to receive university credit, the facilities must meet the standards of the Nigeria Universities Commission. The goal is to renovate or rebuild the buildings so they are safe and serviceable under the burden of larger student numbers. The overall plans include three hostel buildings, an administrative building and the library. This project will serve the Seminary community made up of teaching and non-teaching staff and students totaling approximately 150 people, not including visitors. The seminary facilities are host to periodical LCN conferences and workshops, as well as short-term visiting lecturers from the States. The original grant proposal was for the renovation of the dormitories. However, it was discovered that the present building structures and designs which were originally planned to be renovated would not meet NUC standard for accreditation approval. In February, 2016, LWML approved Synod’s request to construct new dormitories with the portion of grant funds originally intended for remodeling the old and obsolete structures. Archbishop Christian Ekong has submitted architectural illustrations and drawings for a two-story dormitory building that is designed to house 100 students. Archbishop Ekong is currently working on the detailed budget for the total construction. Once Synod has received and accepted the budget plan, a grant agreement will be executed and a portion of the funds will be forward for the initial phase. Additional funding will be forwarded upon successful progress reports from Archbishop Ekong. On March 15, 2017, LWML President Patti Ross and VP of Gospel Outreach, Shelley Moeller visited the International Center and presented a check in the amount of $120,000 for this project to John Fale, Dan McMiller and Gary Schulte. Dan McMiller also presented LWML with a copy of the architectural illustrations and drawings. It is anticipated the building should be completed in July, 2018. Our LWML mite offerings are at work helping to bring Hope and Healing to the Navajo people in New Mexico. 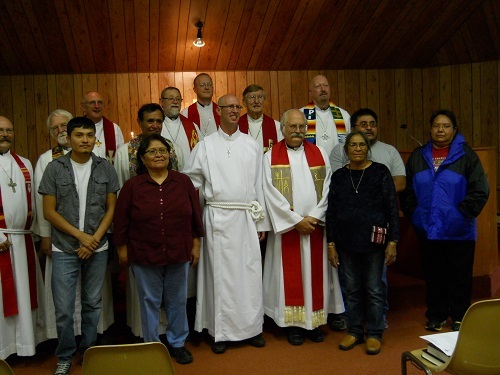 In April, four Lutheran Indian Ministries’ (LIM) staff, including Vicar Tim Norton, who serves at Shepherd of the Valley Lutheran church in Navajo, New Mexico, attended the Beauty for Ashes (BFA) training in Anchorage, Alaska. This faith-based conference was designed to educate and train individuals on how to interact with, and respond to, those whose lives have been impacted by domestic violence, abuse and neglect. the same way you do." During the conference, Vicar Norton and his wife Heidi each had opportunities to share the Gospel with individuals who were experiencing much pain due to past abuse. One grateful participant stated, “I want to know Jesus the same way you do.” We believe this training will open doors for a healing ministry among the Navajo people. Funds are also being used for an upcoming Confirmation retreat. Navajo youth face many challenges, and recently the community lost one young man to suicide. Vicar Norton’s hope is that youth retreats will help provide a stronger connection to the body of Christ for Navajo teens so they do not to feel alone and isolated. 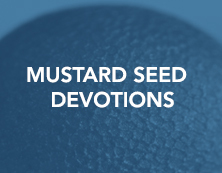 As the LWML reaches out to our Navajo brothers and sisters in Christ through youth camps, after school programs, Bible studies and support groups, funded by this mission grant, may they experience the love, forgiveness and power of the Holy Spirit in their lives.